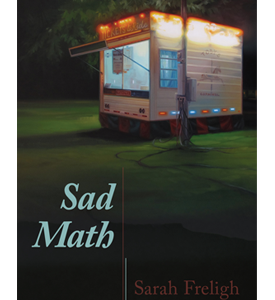 In Sad Math, Sarah Freligh takes us for a ride through an American girlhood, a retrospective landscape of parking in cars and illicit kisses in a Donut Delite. Here, time is measured not only in days and years but in physical distance, a past that is understandable only when viewed through a rearview mirror. Along the way, there are not only losses, but also the accumulation of experience and the insistence of possibility.